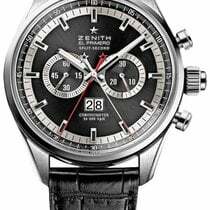 In 1969, Zenith, the creator of the El Primero, was the first to integrate an automatic chronograph movement that is still the world's most precise series-made calibre today. This specific time-piece is a true work of art. 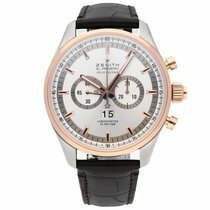 With a rose gold and black PVD case and comfortable rubber band, this watch is an excellent wear. The Split-Second function enables one to use two stop watches at the same time that run in unison. 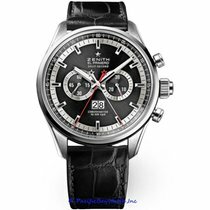 This brand is a pioneer in the watch industry that continues to develop the most precise and reliable watches, as well as captivating our attention with their beautiful designs. Contact us, today!